Students participating in S3DA events are learning life-long skills such as fair chase and ethical bowhunting, as well as wildlife conservation which are integral to the development of well rounded outdoorsmen and women. Students learn these skills and continue on to be avid bowhunters, along with their families, for years to come. They are learning conservation best practices and the key role wildlife and the environment have in that process. S3DA students are also being featured in many different wildlife magazines and articles thanks to our partners and sponsors. Check out this article in the Arrow Trade Magazine! Protecting our OUTDOOR HERITAGE is really about recruitment, retention, and re-activation, which begins by making outdoor memories that will last a lifetime. The R3 program was developed to increase participation in shooting sports and hunting. The R3 community is a network of wildlife agencies, nonprofits and industry professionals that work together to address challenges to participation in hunting and the shooting sports. S3DA is proud to support and work with the R3 community! Check out the ATA "Explore Bowhunting" Program! S3DA is committed to instilling in students the critical connection between hunting and conservation by exposing them to the Scholastic 3-D Archery/Pope & Young Clear Path Bowhunting Initiative. This initiative provides information on the North American Model of Wildlife Conservation, The Pittman Robertson Act, and also includes an overview of the history of modern bowhunting and fair-chase ethics. 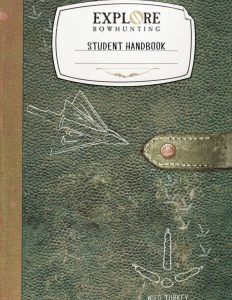 S3DA coordinators, coaches and student members are provided this information to create a deeper understanding of the principles of being an ethical hunter as well as the importance of conservation practices. The driving force behind the growth of the program has been derived from many different facets, including the R3 program (Recruit, Retain, Reactivate), Fish & Wildlife agencies along with Department of Natural Resources agencies, partners, sponsors and interested parties across the nation. Chris Willard and the team at the Oregon Dep. 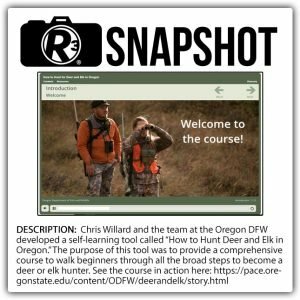 of Fish & Wildlife created a new tool to help new hunters learn the broad comprehensive steps in learning to hunt deer and elk in Oregon. Click on the image to the left to learn more about the effort from the webinar Chris hosted with the R3 community. QDMA helps deer hunters produce quality hunting and quality memories by growing quality deer. Through the National Rack Pack youth program, Mentored Hunting Programs and the NEW #FirstDeer campaign, QDMA is helping new hunters of all ages experience deer hunting for the first time. Many S3DA members are participating in the #FirstDeer campaign with their Bowhunting Success Stories. If you have a #FirstDeer story you would like to share, please e-mail your story and picture submissions to kayla@s3da.org and firstdeer@qdma.com. 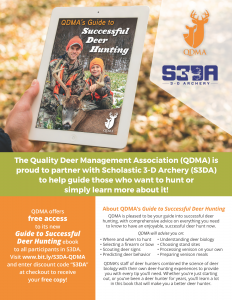 As you will see via the flyer, the Quality Deer Management Association (QDMA) is proud to partner with Scholastic 3-D Archery (S3DA) to help guide those who want to hunt or simply want to learn more about it. 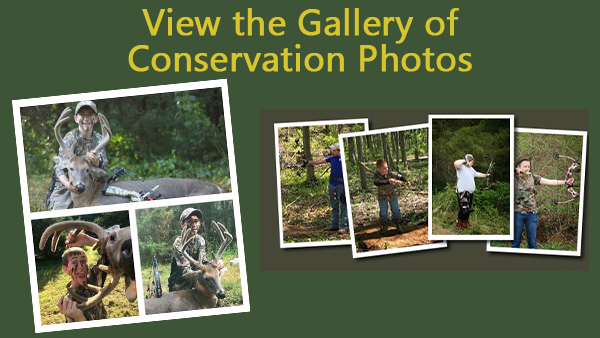 QDMA’s Guide to Successful Deer Hunting e-book is FREE to all S3DA participants. (Click on the image to access). QDMA sponsors a National Archery Youth Hunt for select S3DA participants between the ages of 12-17. QDMA, Pope & Young and Whitetails Unlimited offer special activities at the S3DA 3-D National Championship.